For me, it takes about 3 or 4 viewings to really appreciate a masterpiece, or at least to define a film a masterpiece (even though I've prematurely made declarations of such on first time viewings tsk tsk). What defines a masterpiece? 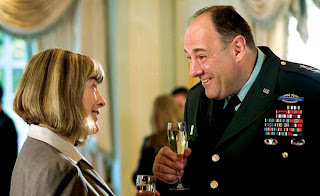 Not just a good film, or a great film, but a film after the third or fourth viewing reveals new layers of depth, complexity, humour, suspense, or whatever emotion it stimulates. As a result as I cross-reference this list with my previous Year End lists, it’s much different. Many times, my knee jerk reaction to a first viewing of a film has decreasing returns on subsequent viewings. You might see an odd inclusion in there, ‘In the Loop’ which only made #3 on my list of the best of 2009, so how come ‘Inglourious Basterds’ or ‘Un Prophete’ is not up there? Well, I’ve seen “In the Loop” four times and each time it holds up. 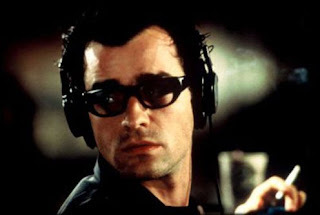 It also provides an antidote to the wholly dark material of the other 9 films on this list. It's not a scientific method either, a gut reaction, a feeling of what is rising to the top. David Lynch had made eight feature films prior to Mulholland Drive, and a few of them masterpieces in their own right. Lynch remarkably recycles the character, themes, textures, and tone of his other films like a jigsaw puzzle into this beguiling compendium of Lynchian perfection. 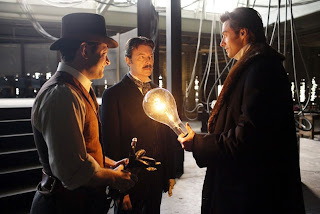 Sure his Batman films are great, but its ‘The Prestige” which packs the greatest emotional wallop. The Prestige is tricky, clever and complex, expertly weaving a great game of professsional one-up manship with a real cynical edge. High contrast black and white photography, long meandering tracking shots draw the audience into the bleak and barren mood of a secluded Hungarian town and its post-Communist xenophobic townsfolk. A challenging aesthetic to be sure, but undeniably mesmerizing and hypnotic. European art cinema par excellence. A $7,000 film written, produced, directed, shot, acted, sound designed and composed by one person makes this Sundance winner an inspiring story. But even more remarkable is Shane Carruth’s ability to execute a narratively complex time travel thriller with equally precise composition and control. The comic timing, and assured satirical tone of Armando Iannucci’s great political farce is pitch perfect. The manic complexities of the dozen or so ensemble actors riff and roll with one another like a well-oiled machine. Kinji Fukasuku’s high concept black comedy action feels like a cinematic hand grenade like only the Japanese could explode. A near future society where a group of high school classmates are assembled on a island to kill each other off as part of a nationwide solution to youth violence. Audacious and potent and even more impressive that it was made by a 70 year old director! Guillermo Del Toro’s luscious and alluring gothic masterpiece is the pinnacle of fantasy filmmaking. It was sad to watch the disappointment on Del Toro’s face when “Lives of Others” was read out as the (albeit deserving) winner of the Best Foreign Language film Oscar that year. 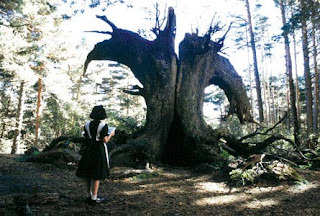 But "Pan's Labyrinth" willl remain a special film for a long time to come. 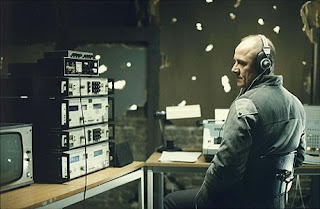 But let’s not take anything away from “Lives of Others”, deeply moving Cold War character, which finds a surprisingly warm and optismistic sentimental tone. Wholly disturbing and fascinating procedural involving a woman's journey tohelp her friend get an abortion in 1980's communist Romania.